Spring is right around the corner… Thankfully! If you are thinking about selling your house, it’s time to also start thinking about updating your landscaping. Are the hedges overgrown? Are the paths and walkways in good shape? Does your home have “curb appeal” to potential buyers driving past? Is your lawn in good condition? Neglected areas can create doubt and worry the moment a potential owner sees the property. 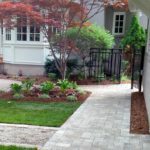 Landscape Ontario has posted a great article on quick and easy steps to creating curb appeal and ultimately getting more money for your home. 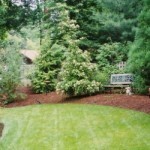 Landscaping prior to selling is a great investment. Landscape investments are often recovered fully, and sometimes doubled, via increasing real estate values (Wall Street Journal) In some cases, landscaping out ranked even kitchen and bathroom renovations on return of investment.